Aside from their musical talents, Eskimo Joe, Birds of Tokyo and John Butler Trio have one thing in common – they are among a host of gifted musicians that Perth has produced. Despite the ‘Dullsville’ tag, Perth’s music scene is far from dull. With more big names and even bigger talent coming to the Western Australian capital, it is a shame that the rest of WA often misses out on the cream of music and the arts. Regional WA has long suffered a drought of live music and travelling art exhibitions because the population shift to the big cities has left the regions out of the loop. However, the high standard of the WA Youth Jazz Orchestra is countering country WA’s deprivation of quality music one step at a time. Jane Sidall of WAYJO has been part of a push to bring quality jazz to regional WA over the past few years. As the charities manager of the youth jazz training organisation, Ms Sidall wants to continue bringing music to the country and even campaign for funding to make it a more regular occurrence. “It’s absolutely important to raise the profile of jazz among young people and we try to go to regions twice a year,” Ms Sidall says. “This year we went to Narrogin and we’ll be going to Northam … where we are doing a free concert at the high school. WAYJO is aiming to bring traditional big band jazz to country residents. “We have applied for a grant from the Ian Potter Foundation to take big bands out into the country because people in the regions are starved of jazz,” Ms Sidall says. The Ian Potter Foundation, based in Melbourne, provides grants that have a specific education focus in the arts and other areas. WAYJO often performs for Perth schools, and it is not uncommon for concerts to be sold out. “We take our junior players there but it’s difficult to get the band out to regional areas because some members are also at school,” Ms Sidall laments. “They are of a really high standard – in last year’s intake, 114 players auditioned for 54 places. Long-time Wheatbelt resident and teacher at Merredin Senior High School Paul Bandurski is deprived of live music in his preferred style of jazz. As Head of the school’s arts learning area, Mr Bandurski has his finger on the pulse of the music scene in Merredin and says he would welcome a live jazz performance to the town and school. “Out here, there is zilch,” Mr Bandurski says. In contrast, first-year West Australian Academy of Performing Arts jazz performance student Alana Macpherson says her classes are full of 18-21 year olds. “Young people don’t usually get into jazz unless they go to a high school with a strong music program,” Ms Macpherson says. Ms Macpherson used to play the saxophone for WAYJPO but gave up in 2011 due to a heavy study load. She admires the jazz scene in Perth and the internationally renowned jazz musicians the WA Academy of Performing Arts has brought to Perth. Among the list of performers are Boston pianist Aaron Goldberg, Caribbean bassist Rueban Rogers, drummer Greg Hutchison, saxophonist George Garzone and saxophonist Joel Frahm. “To most people the names aren’t such a big deal, but for us (jazz students) it’s really exciting,” Ms Macpherson says. 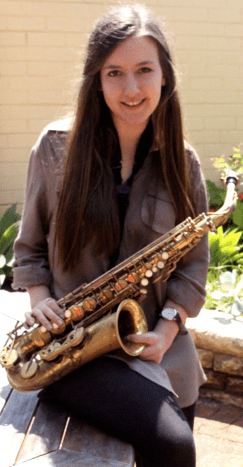 “I had saxophone lessons with Joel Frahm which was amazing. “People from the eastern states know Perth has a really good scene. A thriving alternative music scene in Perth is great news for the jazz lovers of the city but there is much to be done to prevent WA regions from being excluded from the musical talents available to city-dwellers. However, it isn’t all bad news for the Merredin community. The government’s Royalties for Regions scheme has seen the introduction of Harvest Rock, a concert that will bring Eskimo Joe, Little Red, Josh Pyke and Pseudo Echo out to the wheatbelt town.